It was on this very day in 1917 that the very first Ford Model TT truck rolled off the assembly line, kicking off one hundred years of Ford trucks that has culminated in modern work heroes like the 2017 Ford F-Series Super Duty, and performance icons like the F-150 Raptor. As the name suggests, the Ford Model TT was based on the iconic Model T car. 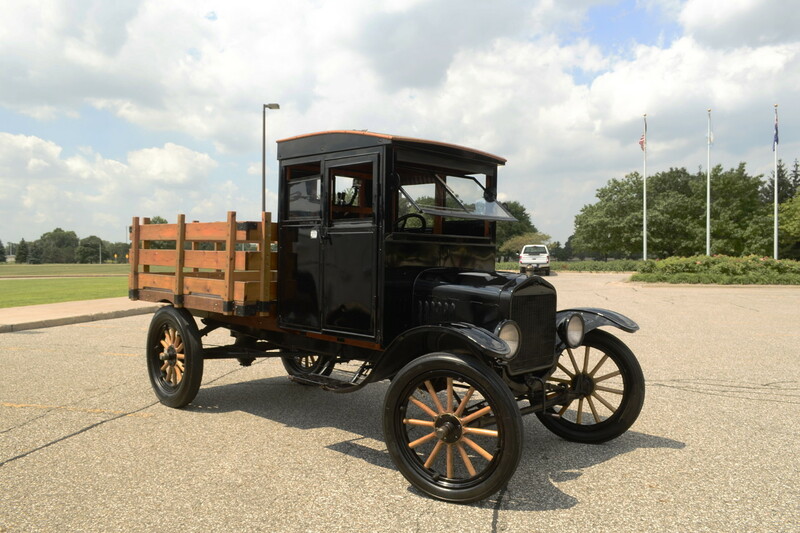 Ford Motor Company had received requests from customers for a utilitarian vehicle that could haul bigger, heavier loads than the original Model T could manage, and the Model TT delivered with a more robust frame and rear axle, plus provisions for mounting whatever cargo bed or other third-party add-on was required to the chassis. The cab and engine of the Ford Model T car were retained, as were the driver controls, which would be absolutely obscure to most drivers today: a stalk on the left to control spark advance, one on the right to control the throttle, and three foot pedals to provide first, second, and neutral (left pedal); reverse (middle pedal); and braking (right pedal). Only the steering wheel is immediately familiar. The Ford Model TT could carry a payload weighing up to one ton, although it did so rather slowly by today’s standards. Production ended after 1927 to give way to the Ford Model AA truck, but not before Ford had managed to sell 1.3 million examples. The familiar Ford F-Series that we all know today – or the Ford “Bonus-Built”, as it was then known – wouldn’t come about until two decades later, after World War II had ended and Ford had acquired a wealth of experience building heavy-duty, utilitarian vehicles for the US war effort. 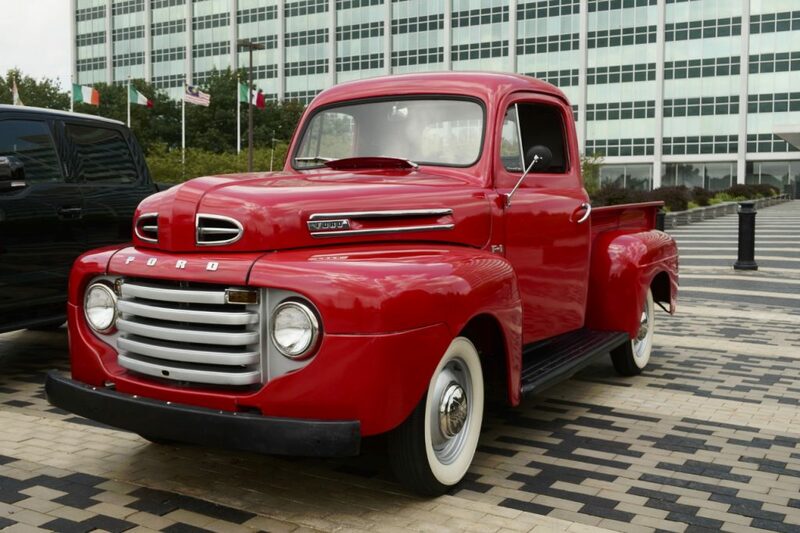 Launched for 1948, the first-generation F-Series covered models from the half-ton Ford F-1 to the behemoth Ford F-8. All were fitted with manual transmissions, with anywhere from three to five speeds, and through the first four years of production, four engines were available, depending on the model. Another eleven generations of Ford F-Series trucks have come and gone between that first F-Series and the present day, and needless to say, things have changed dramatically. On top of the 100th anniversary of the Ford truck, the Blue Oval this year celebrates two more impressive milestones: 40 years of the F-Series as the best-selling truck in America, and 35 years of the F-Series as the best-selling vehicle. And it all started with a Model T.